After spending the first day of my bank holiday weekend in Worcester, on the Sunday I explored the town of Gloucester. A day similar to the previous in that it took in Cathedrals and museums. 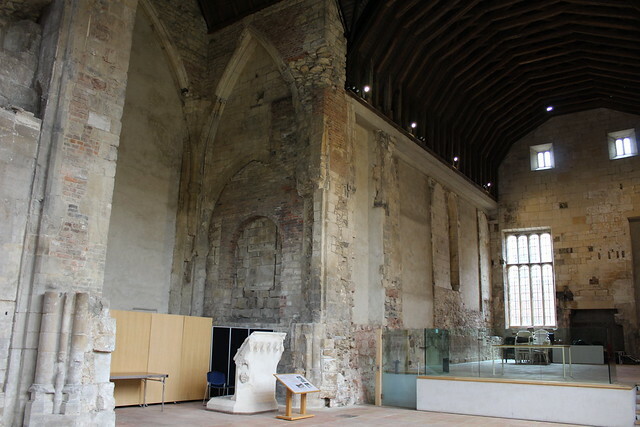 First of all was Blackfriars Priory, founded in 1239, dissolved in 1539 and bought by a local alderman who turned it into his house. It was still lived in until the 20th century. the main church now has had all of the floors and rooms removed, just leaving the shell. 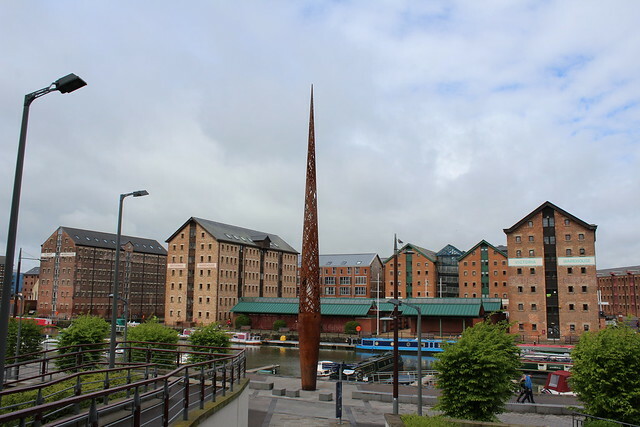 The centre of Gloucester is pretty compact and just a couple of street away are the docks (GLoucester used to be a fairly large port on the Severn). The former industrial area has been turned into a shopping and pedestrian areas, with a couple of decent museums. The first one I visited was a military one, that told the history of the Gloucester regiments, along with a lot of local stories. After a good wander round that, it was back to the other side of town to go round the cathedral – on a Sunday the opening hours for tourists are shorter, due to services. Just round the corner is the House of The Tailor of Gloucester, as in Beatrix Potter fame. At Gloucester Cathedral, there was another volunteer tour guide, this time for a tour round the crypt. My favourite story of that was of Robert Cuthose, the eldest son of William the Conquerer, who dies before he could succeed his father. 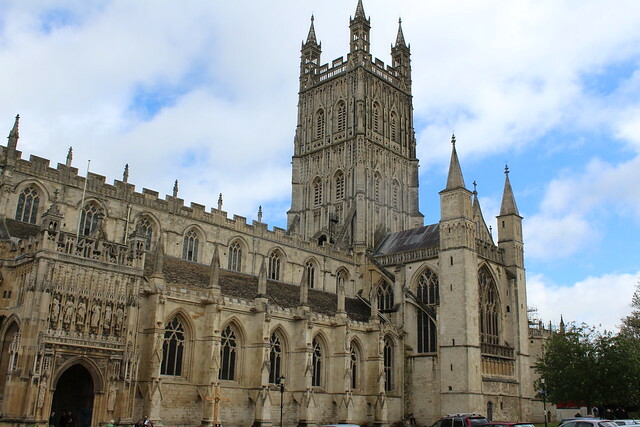 During the WWII, his burial statue was stored in the crypt, on top of a large storage box that had been sent up for London – the Gloucester vaults were deemed to be fairly safe. At the end of the war, the box was revealed to hold the throne of England – so the Prince had ended up ‘sitting’ on the throne. 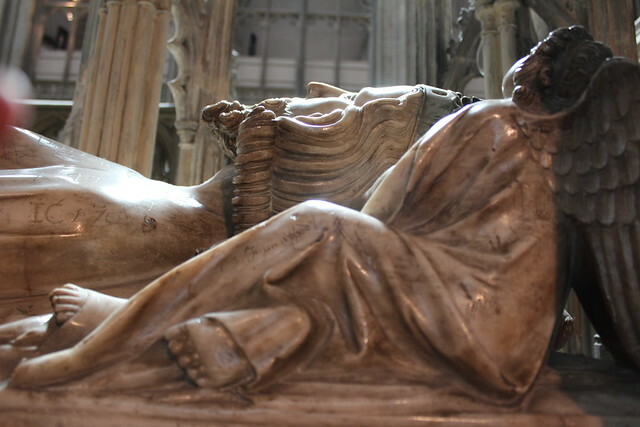 The other royal burial in the cathedral was Edward II, a not quite successful King who ended up being deposed and disposed of. Edward was not the eldest, he only inherited when his older brother died – Alphonso, a name that cold have been interesting as an English king :-). 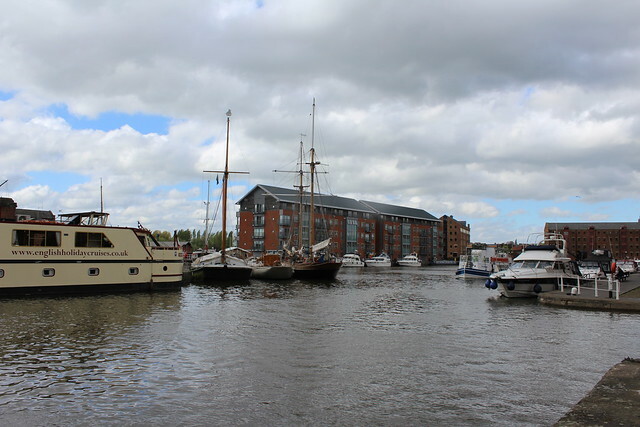 The final museum of the day was back at the docks, the Gloucester Waterways museum, all about the canals and the life spent on the canals. A very good two day trip and 2 cathedrals knocked off the list. I’m busy planning my next one now – looking at a double header of Peterborough and Ely. This entry was posted in life, travel by Rachel. Bookmark the permalink.